An eclectic and exciting combination of area restaurants offering casual fare to elegant dining paired with the best distilleries in New England, makes this $40 ticket a no brainer. Sample craft cocktails, neat Bourbons and Whiskeys, even sit in on an exclusive Macallan/Highland Park tasting while their ambassador takes you on a sipping journey of five superb Scotches. This one of a kind exhibition plays host to a trend setting social vibe, mixing the new generation of Whiskey drinkers with the seasoned Bourbon connoisseur. A blend of unexpected vendors and musical awesomeness from Blockhead, sets Bourbon Street Providence apart from anything else offered for your November evening. 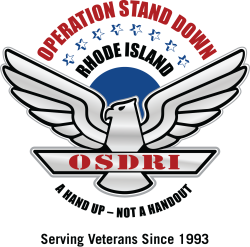 Operation Stand Down Rhode Island’s mission is to help veterans secure stable housing and employment as well as other assistance according to individual needs including case management, basic human needs, referrals, and education and training services.